It’s been called swamp thing. Red maple, or swamp maple, has made something of a reputation for itself in the forestry and logging communities as a kind of rule-breaker and a nuisance. It’s a perfectly respectable native tree, really, but it does have the habit of coming out of the swamps and showing up virtually everywhere. Despite its name, only in the southernmost parts of its range does it seem to respect swamp boundaries. According to the United States Department of Agriculture Forest Service Handbook Silvics of North America, “Red maple is one of the most abundant and widespread trees in eastern North America.” Along the eastern seaboard, the red maple ranges from well into Newfoundland in the north and to extreme southern Florida in the south. The issue among foresters is that red maple is an “inferior” tree. 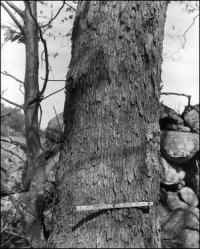 Compared to a tree like the sugar maple, for example, with its hard, dense wood and comparatively little so-called defect, red maple is often riddled with rot. Much of the rot is typically on the inside so the tree can appear, by casual inspection, to be in pretty good condition. Cutting into it, though, often tells a different story. If red maples are growing on an upland site, they are occupying space and using resources that could be used by more “desirable” species (not only sugar maples). So, from a certain point of view, red maple should just stay down in the swamps where it belongs. But as anyone might guess, it all depends on the objective and perspective. Wildlife—especially many cavity-nesting birds—seem to like red maple just fine, oak. Excavating in its trunk and branches is relatively easy and it sometimes comes with pre-made cavities that may only need a few alterations. That bit on red maple is more or less by way of introduction. The intent of this article is to build upon what was covered in part one and to emphasize trees that range predominantly in the southeastern United States. Of course there’s going to be overlap; humans like nice, neat boundaries and nature doesn’t, not to mention that humans often plant and cultivate trees outside of their natural ranges. Moving on—and speaking of not obeying the rules—consider the boxelder. This is a maple tree but unlike virtually all other maples it has compound leaves. The box elder’s leaves are divided into separate leaflets along a main leaf stem, just as in the white ash tree’s leaves. 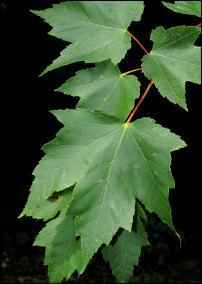 In fact, another name for boxelder is ash-leaved maple. The maple leaf has become an iconic symbol, whether in a grade school craft project or on the Canadian flag. But that stylized maple leaf is the more “typical” one, like that of the red maple or, especially, the sugar maple. The boxelder didn’t make the cut for a flag or a school project for some reason. 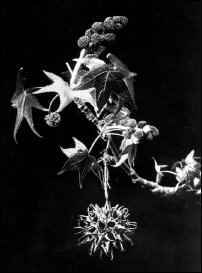 The sweetgum is a tree in the witch-hazel family. It’s a bit of an oddity in appearance owing to the shape of its leaves. No other tree native to North America has leaves quite like those of the sweetgum; they’re more or less star-shaped. You might make the case that they’re similar to some maple leaves but the similarity only goes so far. Keep in mind also that maple is opposite and sweetgum is alternate. (Recall or refer to the MAD HORSE mnemonic from part one.) The fruit is curious, too. It’s a rounded, sort of warty thing about the size of a golf ball and hangs from the twig on a thin stem. Pine trees and oak trees— beyond being trees—are otherwise not very closely related. They do share something else in common, though. And that is the variety of species in each group native to North America. Just the oaks or the pines themselves could easily be the subject of one article. As noted in part one, pines are divided into soft and hard. Among the hard pines, the so-called southern yellow pines are almost legendary. And the aptly named longleaf pine is a prominent southern yellow pine. 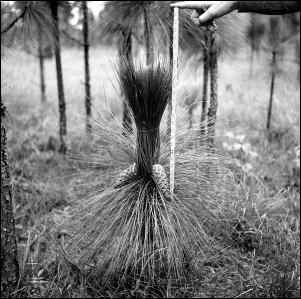 The longleaf pine’s needles, in bundles of three, are up to 18 inches long and are typically bunched near the ends of the branches. Another distinguishing feature is what’s called the grass stage. As a seedling, the longleaf pine will spend up to several years in a stage in which it looks more like a clump of grass than a young tree. Another of the southern yellow pines is the shortleaf pine. 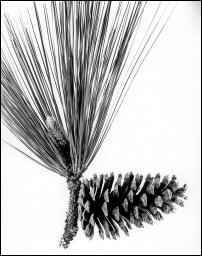 The shortleaf pine has needles usually in bundles of two but occasionally three, and at a maximum length of about 5 inches they are indeed much shorter than those of the longleaf pine. And shortleaf pine’s cones are commensurately smaller, too, reaching only about 2 inches in length compared to the very large (up to about 10 inches) cone of the longleaf pine. 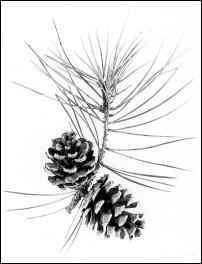 The cone scales of both longleaf and shortleaf pines have a prickle at their tips.. Slash pine needles tend to be in groups of two and are fairly long, up to ten inches. Slash pine’s needles are generally darker green compared to the more yellowish needles of loblolly pine. The cones are very similar in size and general appearance to those of loblolly pine. There are oaks and then there are oaks. And then when you check again it seems there are even more oaks. It’s almost as if the oaks evolved new species while dendrologists were scratching their heads and trying to corral them all together to write field guides. Nobody—not even advanced alien races from other worlds who’ve been studying life on Earth for millennia—knows how many oak trees there are native to the United States. Okay, that’s not entirely true; there’s a dendrology professor at one of the southern universities who has a pretty good handle on it. If a tree were to be elected ambassador for the southeastern U.S. it might well be the live oak. Engarlanded, as it usually is, with Spanish moss—a type of plant known as a bromeliad and more closely related to the pineapple than to actual moss—the live oak is iconic. 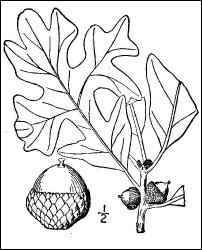 Although it is ranked in the red oak group, the live oak’s acorns mature in the same season as its flowers, as do those of the white oaks, and the acorns don’t have the characteristic bitterness common to other red oaks. Rules, rules, rules. 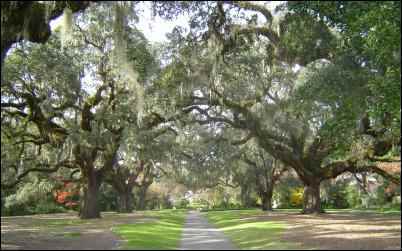 The live oak is typically a tree with sprawling branches and fairly small leaves up to about 5 inches long, sometimes producing leaves that have points on the margins suggestive of American holly. The leaves are evergreen. USDA-NRCS PLANTS Database / Britton, N.L., and A. Brown. 1913. An illustrated flora of the northern United States, Canada and the British Possessions. Vol. 1: 622. Post oak is another oak of the southeast. 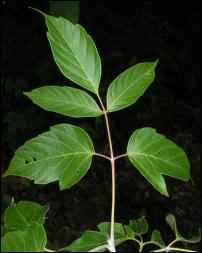 Its leathery leaves, with squarish lobes that form something of a cross, are distinctive. 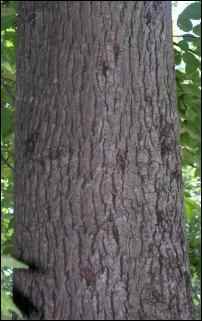 The post oak is not an especially large tree, reaching only perhaps 60 to 65 feet tall in a large specimen. Shagbark hickory tends to get the lion’s share of attention among the hickories because of its distinctive bark. But there are several other perfectly respectable hickories besides the shagbark, and one of them is the mockernut. The mockernut hickory’s bark is at the other end of the spectrum when it comes to shagginess. It may develop some ridges as the tree ages but is virtually always very tight and not scaly or shaggy. The pignut’s compound leaves have fewer leaflets on average than those of the mockernut—5 to 7 compared to 7 to 9 of the mockernut. Pignut hickory’s bark is certainly not what you’d call shaggy but it definitely develops some looseness or scaliness. 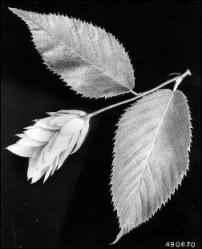 One key feature that distinguishes mockernut and pignut hickories is the degree of hairiness or woolliness on the twigs and leaf stems. Pignut is smooth and fairly hairless and mockernut is what a dendrologist would call pubescent or tomentose (which pretty much just means hairy). Also, mockernut’s twigs and leaf stems tend to be stouter than those of the pignut. The so-called red hickory or sweet pignut hickory—similar to pignut hickory but by some accounts a different species—typically has 7 leaflets rather than the usual 5 of the pignut. And red hickory’s leaf stems are often red rather than green. There are other differences, especially in the nut husks, but by some authoritative accounts the red hickory is but a variation of the pignut. Mulberry Here we go. The mulberry tree brings up, once again, the messy business of definitions and distinctions versus what happens in the real, natural world. It doesn’t even sound right to call it a “mulberry tree” for one thing. Many of us have heard of a mulberry “bush” but not necessarily a mulberry tree. A bush is a bush and a tree is a tree. Well, dendrologists—the really stuffy ones—might get their eyebrows all in a spasm if they hear someone calling something a “bush.” The term “shrub” is the respectable term. Let’s clear this up. A shrub is a woody plant that, when mature, does not grow to tree size, and a tree is a woody plant that, when mature, is bigger than a shrub. And a bush is what we call shrubs in nursery rhymes. Here’s a more sincere attempt. Generally a tree is a woody plant having an upright trunk that is, for the most part, single rather than multiple, and attaining a height of at least 20 feet. This certainly isn’t a hard and fast rule, and there are definitely gray areas. One of the gray areas comes up with many hardwood trees after they are cut; they sprout from the stump and produce multiple stems. Foresters call this coppice regeneration and it can lead to trees that would ordinarily have a single trunk having multiples, and in the early stages of growth they can be very shrub-like. The mulberry tree appears to be a pretty confused creature in several ways: it doesn’t seem to know exactly what to do with its leaves; it can’t decide whether it’s a tree or a shrub (or a bush); and its fruit looks and tastes quite like a blackberry. Many of the leaves on the mulberry tree look like what we might consider a typical leaf. They’re sort of oval or maybe heart-shaped and have a serrated edge. Other leaves on the same tree are mitten-shaped, others are shaped like a trident or a bird foot, and still others may be formed in to even more sinuses and lobes. 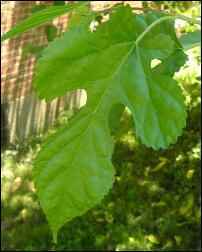 Actually, red mulberry regularly grows to tree size so the confusion about that part is exaggerated. It’s possible that shrub-sized mulberries native to Europe or Asia and poetic license in the nursery rhyme industry played a part in the confusion. Sassafras is another one. Although not as confused as the mulberry, it’s comparable in its indecision about leaves. 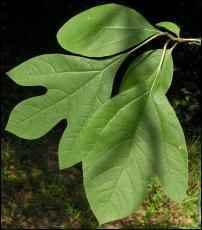 The leaf margins are smooth rather than serrated or toothed, but the sassafras sports some of the same leaf variations—plain, mitten-shaped, and trident-shaped—as the leaves on the mulberry. 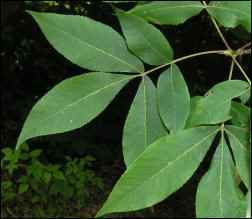 Sassafras is also a relatively small tree, attaining maximum heights in the range of 50 to 60 feet. The black birch, or sweet birch, is more of a northeastern than a southeastern tree. 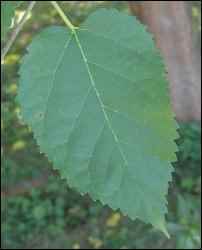 Its inclusion here is primarily for reference and comparison to the next two species, whose leaves resemble those of the black birch considerably. Scratching off some of the thin bark on a small black birch twig and sniffing it will reveal a wintergreen smell. This character alone would distinguish the sweet or black birch from the next two trees. You’d probably never expect it from the discipline of dendrology, so this may come as a big shock; there’s some confusion between the next two species concerning their common names. In some books and references one is named ironwood and the other hornbeam, while in different books or references it may be flipped the other way. 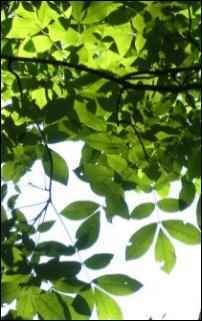 At other times and in other places one is referred to as hornbeam and the other hophornbeam. So this calls for resorting to something extreme—scientific names. 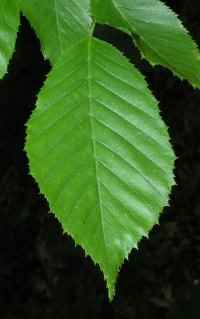 The American hornbeam is a small tree in the birch family. It has black birch-like leaves and produces catkins. One distinction between the American hornbeam and the birches is that catkins in the birches develop and are on the trees, in the closed condition, during the winter and they open in the spring. In the American hornbeam the catkins are not pre-formed but develop in the spring. The fruit is a cluster of bracts that bear seeds. The American hornbeam’s trunk is distinctive, too. The bark is very tight and it typically features ripples suggestive of flexed and toned muscles. This characteristic leads to one of the alternate names for the American hornbeam—musclewood. 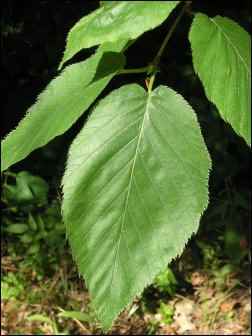 Eastern hophornbeam (Ostrya virginiana) Often called ironwood due to its extremely hard and dense wood, the hophornbeam is another small tree in the birch family. It has simple, black birch-like leaves. 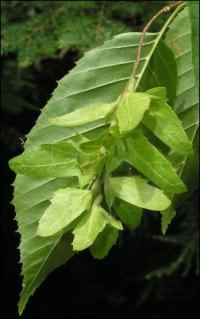 Unlike the American hornbeam, the hophornbeam produces preformed male flowers or catkins that are on the tree during the winter and open in spring. The female flowers develop in the spring. Eastern hophornbeam’s bark, when mature, forms shreds. The honeylocust (all one word and before the advent of the internet) is a tree in the legume family, the family of plants that includes such familiar staple foods as beans and peas. 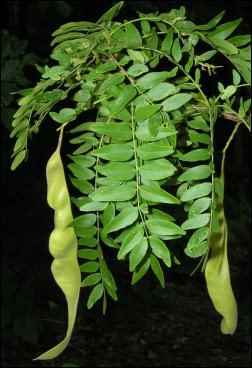 The honeylocust has what dendrologists call pinnately compound leaves and, at times, even bipinnately compound leaves. This means that what would otherwise be a single, contiguous leaf is divided into separate leaflets and sometimes the leaflets are even divided again. Think fern, since many ferns have these kinds of lacey divisions in their fronds or leaves. 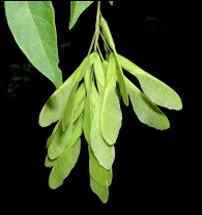 The point is that, when traced back to the twig—as with any compound leaf in trees—the actual leaf has a rachis or leaf stem that is typically not woody, and it is connected directly to the woody twig. Whew. Honeylocust may have thorns on its twigs and even on the trunk. The thorns can be single or branched into three points. A thornless variety is often planted in landscaped settings. Honeylocust’s natural range extends into Texas, Louisiana, and Alabama but it isn’t naturally an extreme southeastern tree. It is so widely planted beyond its range, though, that it turned up in this account. 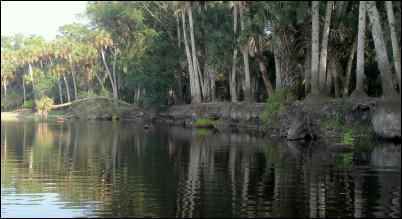 The cabbage palmetto or cabbage palm is one of a number of palm trees native to the Southeast. It grows to be up to about 80 feet tall and has fan-shaped leaves that emerge directly from the trunk, so there is no branch and twig between the trunk and the leaf as in trees like oaks, hickories, and maples. 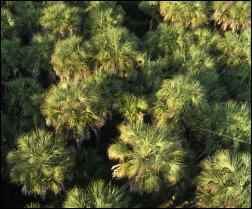 This may look like a close-up of a small moss plant but it’s actually a shot of cabbage palm treetops from an observation tower.